A former employee of JPMorgan Chase and whistleblower, Linda Almonte, serves as a good reason to always request debt validation. Ms. Almonte was a mid-level executive at Chase Bankcard Services and is suing the bank for wrongful termination in addition to filing a whistleblower complaint with the Securities and Exchange Commission. 1. Chase Bank sold to third party debt buyers hundreds of millions of dollars worth of credit card accounts. . .when in fact Chase Bank executives knew that many of those accounts had incorrect and overstated balances. 2. Chase Bank executives routinely destroyed information and communications from consumers rather than incorporate that information into the consumer’s credit card file, including bankruptcy notices, powers of attorney, notice of cancellation of auto-pay, proof of payments and letters from debt settlement companies. 3. Chase Bank executives mass-executed thousands of affidavits in support of Chase Banks collection efforts and those Chase Bank executives did not have personal knowledge of the facts set forth in the affidavits. 4. When senior Chase Bank executives were made aware of these systemic problems, senior Chase Bank executives — rather than remedy the problems — immediately fired the whistleblower and attempted to cover up these problems. 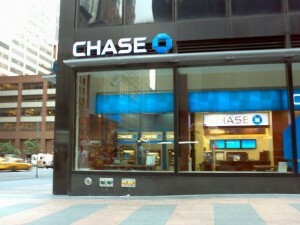 Chase Bank is one of the largest issuers of credit cards and is very aggressive in suing borrowers and debt collection. While Chase Bank has every right to go after delinquent borrowers, rules and laws must be adhered to when it involves consumer credit and debt collection. I have said in previous articles the debt buying industry is growing and very lucrative. But it is full of bad practices, mistakes and inaccurate consumer information. Debt validation forces debt collectors prove you owe the debt. That proof must come from the original creditor. If the original creditor “…knew that many of those accounts had incorrect and overstated balances” just imagine how those incorrect and overstated balances are compounded by the fees and costs added by the debt collector. It is in your best interest to challenge and dispute the debt by requesting debt validation. Further allegations from Ms. Almonte involves her witnessing the head of Chase’s pre-litigation group “destroy material, inbound communications from borrowers including bankruptcy notices, settlement communications and debt settlement communications” rather than entering the information into Chase’s database. It begs the question how can a consumer trust a debt collector to have accurate information and more importantly, how does a credit card company accurately report information to the credit bureaus knowing they have destroyed documents submitted by consumers that could clear up discrepancies. This is a good case for consumers to keep good records. If the allegations of destroying consumer documents are factual, Chase Bank could never accurately respond to consumer credit disputes submitted directly to them under the FACT Act Furnisher Rules. These new rules dictate the furnisher of information to credit bureaus investigate credit disputes submitted to them directly from the consumer and the integrity of the information provided by the furnisher must be confirmed by the furnisher’s records. If Chase maintains inaccurate information and destroys documents that could possibly correct that information, there is no way they are reporting accurate information to the credit bureaus. Read more about the Direct Dispute Rule. Too many consumers allow debt collectors to get away without proving anything they are demanding. It is not only in your best interest to request debt validation, it is your right.